By preparing for a divorce before it actually happens, you can reduce much of the stress and conflict that many people face when they rush the divorce process. Planning ahead allows you to make sound decisions and start preparing for your life after divorce, as well as helping you to avoid some of the post-divorce pitfalls. Below are some things to think about as you begin preparing for a divorce. The amount of information required for a divorce can seem overwhelming, so it makes sense to begin gathering all of it together as soon as possible. You will need to have a record of names, account numbers, addresses, and phone numbers for all of your assets and debts. Don't forget bank accounts, credit cards, loans, stocks and bonds, mortgages, and title information. It also helps to have tax statements for the last three years (find out how to get copies of tax returns), as well as pay stubs and employment information. If there is a business involved, get a copy of the tax records, assets, and debts. Other paperwork to make copies of is deeds, prenuptial or antenuptial agreements, wills, and powers of attorney. Once you gather all the necessary paperwork, you can then determine the net worth of the marital estate. The marital estate is everything that was acquired during your marriage. Net worth is the total of all debts subtracted from the total value of the assets. This will give you an idea of what you will be entitled to when you get divorced. If you will be receiving an inheritance, don't put it in both of your names, and don't use it to buy marital property or pay marital expenses. This will help to keep your inheritance separate from the marital estate. Another consideration when preparing for a divorce is to keep a budget of your income and expenses. This will help provide documentation for determining the amount of support awarded, as well as give you an idea of what it will take to live on after your divorce. For some people, it may make sense to hire a certified divorce financial planner to help sort out all the financial information, and assist in making sound decisions during the actual divorce. For more tips, check out these Divorce Tips. Divorce has a way of wrecking a person's credit. While you are preparing for a divorce, you should get a copy of your credit score to see where you stand. You can get your score from Credit Karma with no credit card or strings attached. If your credit is poor, you should start paying down your debt and cleaning up the bad marks on your credit file. Doing so while you're married can help you qualify to buy a house or car after you divorce. If you don't currently have a credit record, apply for a credit card in your name only. Establishing your credit while you're married is much easier than after you get a divorce. It's important to not build any additional debt, as you will want to keep assets as liquid as possible. Likewise, don't allow your spouse to take out more debt, or convince you to refinance the marital home before filing for divorce. This just further entangles the finances and leaves both parties with larger liabilities after divorce. It is also a good idea to open a checking account in your own name to safeguard your finances. This will allow you to pay expenses without having to worry about your spouse finding out or taking the money. You can use this account to build a reserve to cover emergency expenses, attorney fees, rent, deposits, utilities, etc. If you don't want your spouse to know about this account, have the statements sent to a PO Box. This account will allow you some financial control until the divorce, but you need to remember that the money in the account is subject to division during the divorce. With alimony becoming less common all the time, it's important to be sure that you can provide for yourself after your divorce. If you are currently employed, don't quit your job. If you aren't working right now, polish your resume and begin to think about what sort of work you would prefer and would be good at. You might also consider returning to school to get training, either to advance your career or enter the workforce. While you are preparing for a divorce, have your vehicle thoroughly inspected and repaired. Having costly repairs or needing to buy a new vehicle can crush your budget after divorce. It's beneficial to consult with a lawyer during the preparation stage. 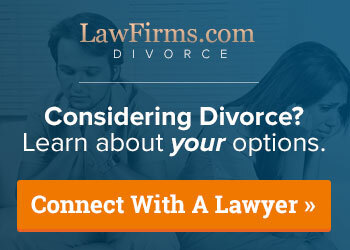 A qualified family lawyer can discuss what your options are, as well as make suggestions to help further prepare yourself for an eventual divorce. You can also get a rough estimate of what your divorce will cost during your initial consultation, allowing you to save back money in advance. Plus, when you do decide to file, you will already have someone you know to handle your case. Make sure that all federal, state, and local taxes are paid to date. This can be a major hassle once the divorce is finalized, and a tax lien is the last thing that you need as you start your new life. If you suspect that your spouse has not reported taxes properly and stands to be audited, consider filing amended tax returns as married-filing separately. If you are covered on your spouse's insurance, get complete medical and dental check-ups done for you and the children. It's important to have any necessary procedures done now while you are covered. Begin checking into getting your own coverage for health, automobile, and home, and take these expenses into account for your post-divorce budget. It's a good idea to videotape your possessions, including the contents of your house, your vehicles, and other property. If things end up missing during the divorce, this can provide proof of its existence. It can also help jog your memory when it's time to divide the marital estate. If your spouse is volatile, you might consider getting a safety deposit box to store valuable documents and jewelry. The same thing goes for sentimental items that might get destroyed. These items can be stored with a friend or family member until everything is settled. For more tips what to do if your spouse would be prone to hiding marital assets, read more about protecting assets in a divorce. Even though it may be tempting to just move out of the family home, don't. Check with your lawyer first to find out what the legal implications would be. In some states, it may hurt your chances of keeping the home after the divorce. It can also have an effect on the final custody decision. Also, if you are already separated, don't start dating someone else. This will not only anger your spouse, but it may make your spouse less cooperative during the actual divorce.